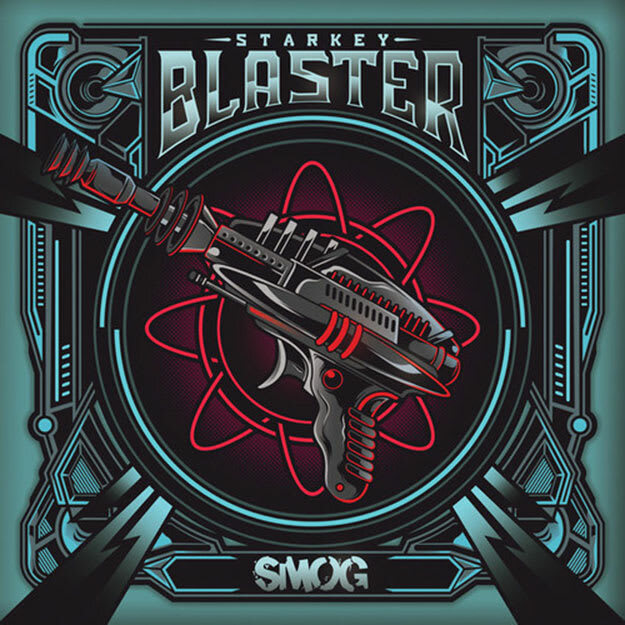 Starkey&apos;s Blaster EP is about to do damage to the collective dance music world and UOENO. Hell, even the sites that premiere his tracks consider him to be an up-and-comer. Mind you, he&apos;s been in the bass music eye for the last eight years, has put out two albums on Planet Mu, an album on Civil Music, with releases on Rwina, No Hats No Hoods, and Ninja Tune, and has been featured on a number of websites and publications over the years. Sure, he might not rank high in your chart, but don&apos;t discount the work dude has put in. And hell, he&apos;s continuing to do it. SMOG is set to drop Blaster, and every cut we&apos;ve heard has been mint, from the title track to cuts like "Drogue," among others. Dude&apos;s just on point, and "Pyramids" might be the end-all epic monster this EP needs. Something about the way that melody rolls over those beats. We&apos;re still in space, but this is all kinds of turnt for the 808 set out there. With Blaster out tomorrow, we&apos;re hoping you wise androids saved your duckets to cop this when it drops.